This is the sweatshirt that makes all other sweatshirts feel inadequate. Two layers of thick, 12 oz. 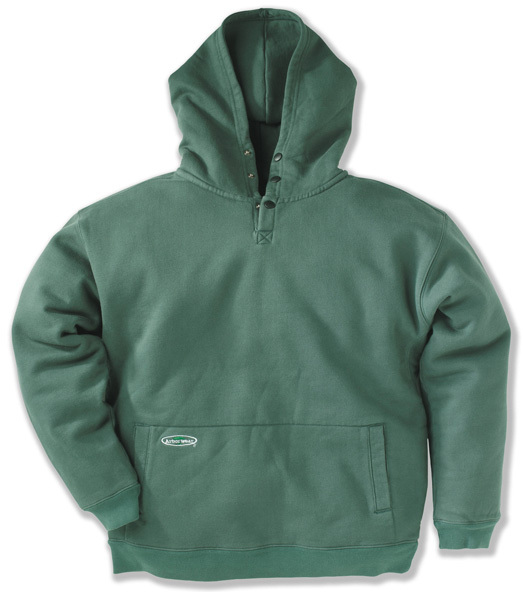 100% pre-shrunk cotton fleece for warmth, and gusseted armpits for freedom of movement. Snap closures at the neck and an oversized hood. Don't go Iditarod training without it. Be sure to buy this one big enough because they shrink.